Technology thought impossible just five years ago is now becoming a reality thanks to advances in computer science. Globalization has brought R&D resources together into a common pool, meaning there is no longer a single individual behind the latest breakthroughs. Most engineering teams and designers speak a common language to at least some degree, but what service opportunities and technology acceleration would we see if we could completely remove language barriers? Language translation is increasingly needed in our everyday life. Globalization brings new business models, and with machine translation language barriers can be removed. Travelling also becomes easier when visitors have language support available. Indeed, machine translation is expected to be as useful a tool in the future as online navigation is now. So far, machine translation has been used mainly for text-to-text translation, but Nokia is taking steps to make it available for speech-to-speech calls as well. So what exactly is new here? Nokia is developing real-time machine translation capability for operators who want to enhance their voice service offering by adding machine translation to all types of voice calls. Use cases for translation are numerous, from worldwide enterprise call centers to in-bound roaming consumers in operator networks, or for different business services like car rentals. Voice translation would be supported in all access types from mobile to fixed. The solution would be device independent, so all calls can utilize voice translation throughout the operator’s network. 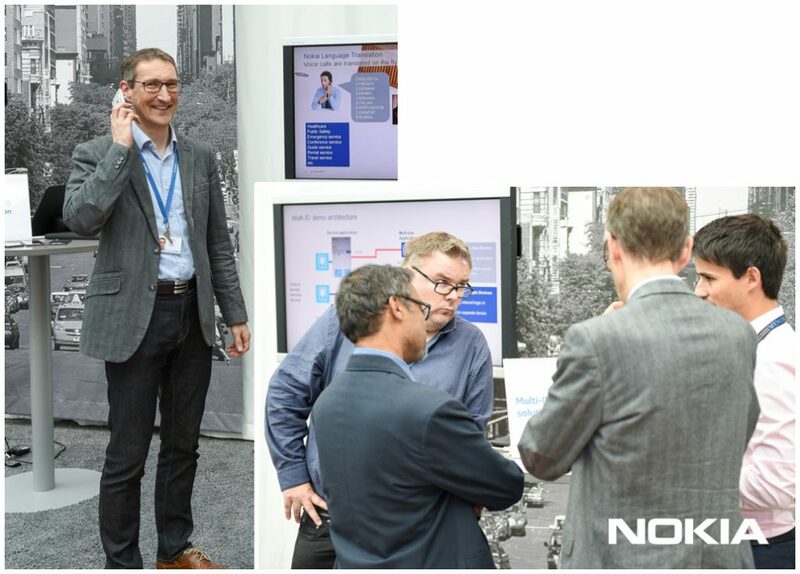 Translation was one of the topics explored with operators at the annual Nokia event, where they shared experiences on business case innovation with real-time voice translation. Compared to other translation services, the end user wouldn’t need to know or identify the other party beforehand. There’s also no need to install or use a separate application for translation capability, nor create an account or buy a separate gadget. Nokia’s vision for real-time voice translation would allow calls between parties with no common language or any previous interaction. This would be provided by Nokia as a service business model, enabling quick operator time to market and periodic use without a large investment. Operators could monetize language translation in multiple ways. The service could be offered traditionally with time-based charging, translation capability could be bundled into more expensive high-end business packages, or included with the latest top-end device or SIM card. Selling as a value-add together with other services is just one way to monetize Nokia’s language translation service. This innovation is a planned part of Nokia’s API development and will form part of our future operator network offering. Further reading here in the Tele2 press release.